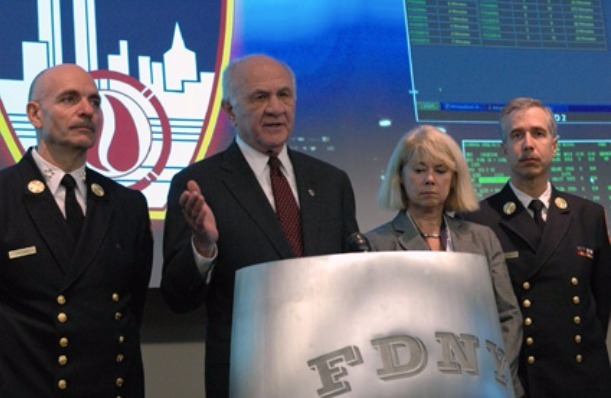 Biopod is an abbreviation for (Biological Point of Distribution), a drill which is conducted throughout the NYC since 2004 to prepare the city towards bioterrorism (anthrax & smallpox outbreak) and administer prophylactic medications to fire fighters and ems rescue workers. This is an effort to determine the total hours required to vaccinate the entire first responder workforce before they can perform their rescue efforts on the streets. Our model has being analyzed by the CRA (community research associates), ODP (office of domestic preparedness) and was presented to the homeland security as a national model.